Our Fiat radio codes are available 24 hours a day 7 days a week. We guarantee our radio decodes work, and its totally FREE! 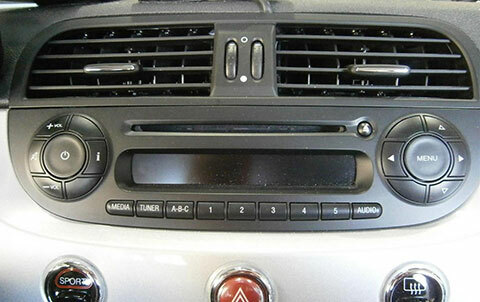 Step 1 – How To Remove Your Fiat RadioIt is quite simple to remove your Fiat radio. You will need a set of radio release keys (PC5-83). These are inexpensive and are around £3 – £5, you can obtain them from a local car audio shop or Halfords. Step 2 – What To Do NextOnce you have the radio release keys, push them into the 4 holes in each corner of the radio (See image), apply a little pressure and the radio will release from the dashboard. The radios label will be located on the radio’s casing. 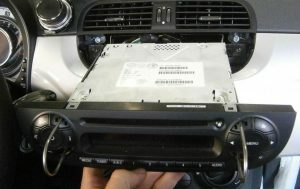 How To Find Your Fiat Radio Serial.The Fiat radio serial is 14 digits long for example BP237534082298. In some cases this may start with CM and also be 14 digits long. To input your Fiat Radio Code you need to press and hold one of the following for a few seconds and let go: 5, 6 button. * Free Fiat Radio Code input instructions are also sent after purchase.